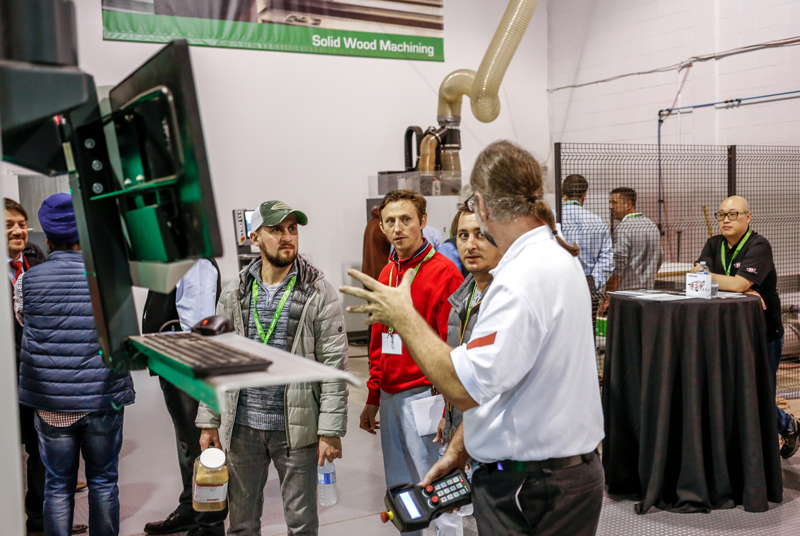 Dozens of woodworking professionals attended Biesse's Inside Event. Biesse’s Inside event in Toronto wrapped up the company’s series of fall events with a two-day Open House Nov. 8-9. 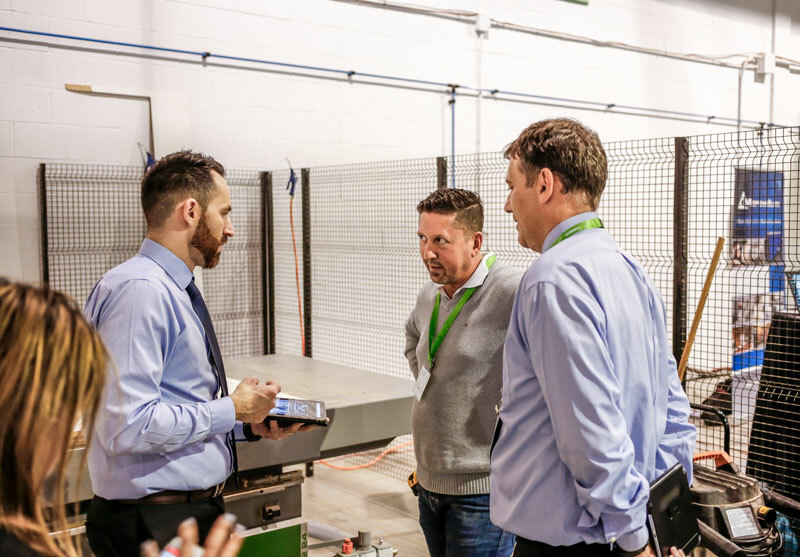 Over the two days, dozens of customers took up the chance to see some of Biesse’s latest machinery in action and talk to industry experts. “We had a very good event with visitors from 50 companies,” said Matt Fleming, vice president sales Biesse Canada. “Our customers are very positive and there is confidence out there right across the board, people are investing into their businesses. 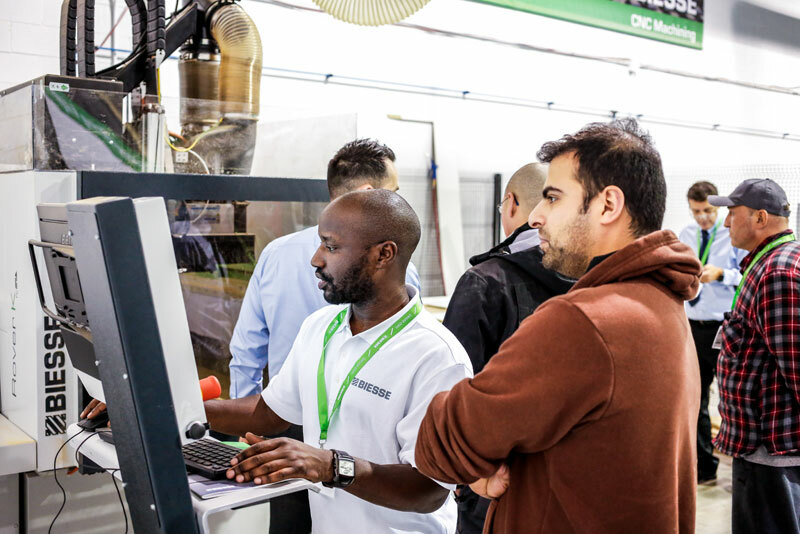 Biesse’s product line-up includes high-tech automation equipment, robotics, CNC routers and machining centres, wide-belt sanders, panel saws, drilling machines and much more. 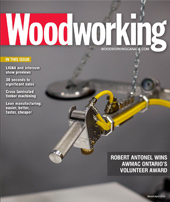 And at this Open House event, Fleming says in addition to showcasing the latest in wood manufacturing technology including machines and software, they were also focusing on what they refer to as advanced materials. Biesse manufactures a range of products for the machining of these advanced, or non-wood materials, which include plastics, composites and thermoformed materials. They include panel saws, machining centres, waterjet cutting systems, sanders and thermoformers. “We also recently hired product specialists for Toronto and Montreal for these machines in the Intermac line and at the Open House we had a number of customers who came specifically for these machines. Fleming said it’s always a great opportunity for customers to come out during these events because everything is ready, under power and lots of product specialists and technicians are on hand to answer questions. 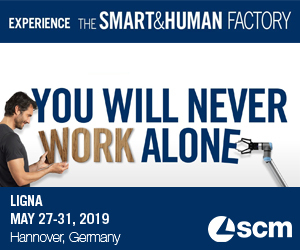 Visitors can come to one location and watch the entire Biesse team demonstrate ways to innovate the work of processing panels, solid wood, plastics, non-ferrous metals and experience machinery for manufacturing glass and stone through their Intermac division. More special events are planned for Spring 2019.